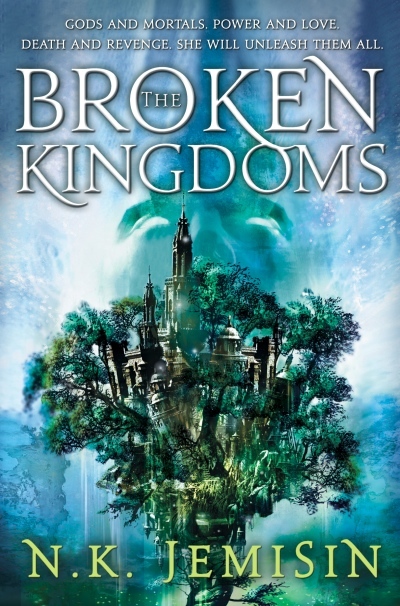 The Broken Kingdoms is book two in N.K. Jemisin’s fantastic Inheritance Trilogy. Book one follows Yeine Darr’s secret second soul and her ascension to god. Book two introduces us to Oree Shoth, a blind artist who can create and see magic. Oree discovers Bright Itempas (she calls him “Shiny”) in a muck bin and takes him in. Itempas is living as a mortal. Cast out of the gods’ realm, Itempas must learn how to truly love to atone for enslaving Nahadoth and Sieh to the Arameri. At first I was surprised to see a new storyline introduced — I wanted to learn more of Yeine as the Gray Lady, though my initial surprise quickly evaporated as I got deeper into the story. There’s little of Nahadoth, Yeine, and Sieh in book two — this is Oree and Itempas’ story and a fabulous, imaginative, satisfying one at that. I read this book twice back to back. It’s worth your time.